In 1993, JANE HIGGINS was one of eight founding faculty members at the High School for Leadership and Public Service in lower Manhattan, part of an early effort to create new, small learning communities in New York City. In addition to her work as an English teacher, Jane soon built a college advising and counseling program at the school to help parents and students navigate the confusing roads that lead to college and career. 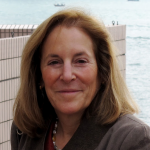 In 2004, Jane left the High School for Leadership and Public Service to work with K12 Learning Services to provide district-wide professional development and curriculum for school districts in Philadelphia, St. Louis, Pittsburgh, Manatee, FL, Chicago and New York City. Most recently, Jane joined the City University of New York at Lehman College to direct their Early College Initiative program in the Bronx. She is a former co-facilitator of the NYCWP’s Invitational Summer Institute (now called Invitational Leadership Institute) and a former facilitator of the Second Year Fellowship. She has been Director of the NYCWP since 2013. 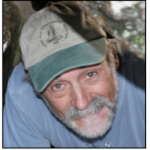 PAUL ALLISON has been teaching and learning ever since he graduated from Hunter College, CUNY in 1983. After a few years in the desert (Utah), and a couple of years at the High School of Art and Design, NYC, he had a wonderful dozen years at University Heights Secondary School, Bronx, NY, where he learned that doing school better didn’t have to be the same-old, with more effort. Paul was a participant in the NYCWP’s Summer Invitational (now called the Invitational Leadership Institute) in 1985, and he has worked for the NYCWP in various ways ever since. Paul is the technology liaison for the NYC for the National Writing Project. He currently teaches English at New Directions in the Bronx. In 1969, after seven years teaching junior high school social studies, ELAINE AVIDON became faculty in the S.E.E.K. Program at Lehman College. Nine years later the New York City Writing Project opened its doors at Lehman down the hall from her office. In 1980 Project Directors Perl & Sterling invited her to work with them, and eventually Elaine became an associate and then a full director. 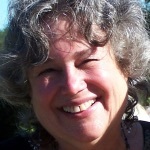 In 1998 Elaine worked with several Writing Project teachers to start The Elementary Teachers Network (ETN), a program that connects literacy learning with the work of the hands. 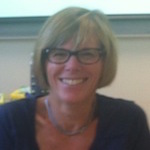 Her relationship with the NYCWP led to three of the most gratifying aspects of her professional life – working with students and faculty at the Bard College Institute for Writing and Thinking; teaching pre-service education students as full-time faculty in Lehman’s Department of Early Childhood and Childhood Education; and working with classroom teachers and children through ETN. In 2006 Elaine retired as Lehman faculty but continues to do what she love as a co-coordinator of Lehman’s Writing Across the Curriculum (WAC) initiative and director of ETN. She works with faculty through WAC and in schools through ETN. But her favorite has been working with sixteen NYCWP teacher consultants writing about their work in the schools. Their book, Stories of Impact: The On-Site Work of the New York City Writing Project Teacher Consultants, is currently pending publication. Over the course of his four decades of teaching in New York City there have been 6,000 days when JOE BELLACERO felt the joy of entering the classroom. He has relished at least 30,000 classes, working and learning with young people who wanted the same things all young people want—to have fun, experiment, discover themselves, push their boundaries, escape the embarrassment of ignorance, be respected, challenged, disciplined and loved. Joe considers teaching to be an adventure, with all that the word implies: uncertainty, discovery, sudden threat, startling beauty, unexpected twists and the possibility that there wouldn’t be a happy ending. It also implies that the adventurer will need to learn from more experienced guides, will have to innovate on the fly, and, every single day, will be made very aware of being alive. 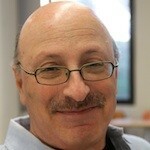 Joe currently enjoys the adventures of being an NYCWP teacher consultant and former Associate Director of the Project. NEYSHA COLÓN is a dual-language special education teacher at PS 89 in Cypress Hills, Brooklyn. She is a believer of providing all students with rich and diverse literature as a springboard for writing. Neysha had the privilege of participating as an NYCWP Invitational Summer Institute fellow (now Invitational Leadership Institute) in the summer of 2015, and is excited to return as a Second Year Fellow in 2016. She currently works on her school’s team in the NYC Department of Education’s Learning Partners Program and serves as the Instructional Coordinator at her school’s learning center. Stephanie thanks her friend and mentor, Jennifer Ochoa, for introducing her to the New York City Writing Project. She was lucky to be chosen as a Summer Fellow in 2010, and twice blessed to return as a Second Year Fellow in 2015. JULIE EDMONDS has been teaching in New York City since 2007. She has worked with middle schoolers in the South Bronx and high schoolers in Brooklyn. 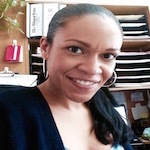 Julie Edmonds currently enjoys leading the English Department and teaching 10th graders in the diverse community of Energy Tech High School in Long Island City, Queens. Julie graduated from Vassar College with a B.A. in Sociology and from the Bard College M.A.T. Program with a Master’s in Teaching English. 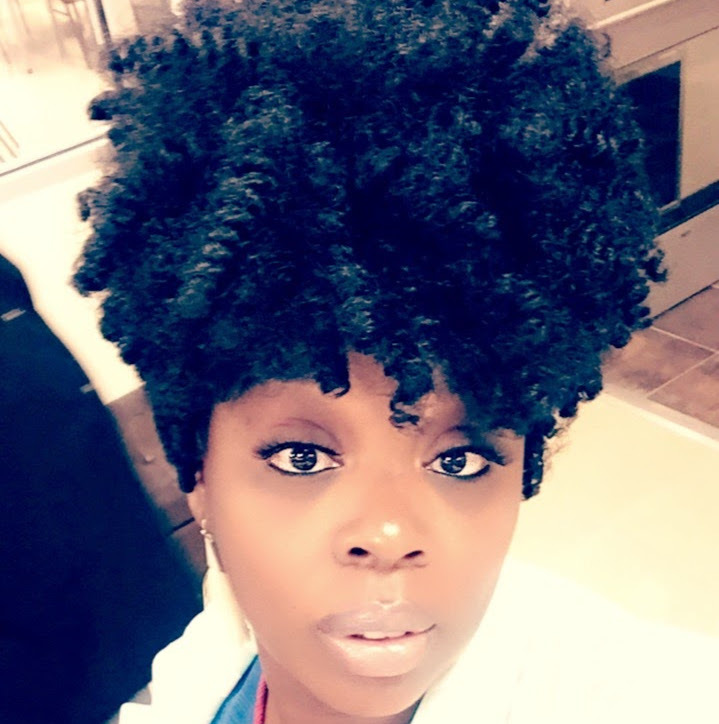 She is currently working on a degree in Educational Leadership from the Collaborative Leadership for Advancing School Success (CLASS) program at Hunter College. 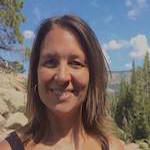 Julie was inspired by her participation in Invitational Leadership Institute in the Summer of 2017 to teach writing in a new manner and do more of her own writing. She worked with on the Assignment Matters Project as a Teacher Leader in 2017-8 and is excited to continue work with the NYC Writing Project. 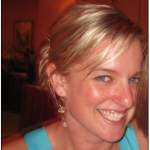 RENÉE EHLE [pronounced “Ale”] started her career in education as a French teacher in California. She then spent 20 years helping to start small public high schools in New York by teaching English, creative writing, interdisciplinary humanities, and expeditionary learning, and by working as a school administrator. Much of that time has been spent in schools affiliated with the Internationals Network for Public Schools, where she has been challenged and inspired by immigrant teenagers determined to learn English and pursue an education. As an active writer of fiction and poetry, Renée was thrilled to be introduced to the New York City Writing Project early in her career. She attended an NYCWP summer program in the 1990s, and has worked alongside teacher-consultants for many years. She is proud and grateful to be an NYCWP on-site teacher-consultant herself now, where she can support teachers in strengthening language and literacy development among English Language Learners, and where she nearly shivers with joy in seeing young people discover a love for reading and writing. 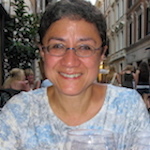 CECILIA M. ESPINOZA was born in Ecuador, South America. She worked for many years as a bilingual/multiage (K-2nd) classroom teacher in Phoenix, Arizona. During her years as a classroom teacher she wrote for publication about her classroom work and directed a Dual Language Program at the same elementary school. As a college professor, Cecilia has continued to pursue her deep interest in studying children’s biliteracy(ies) development. In her research and teaching she has drawn from her deep knowledge and experiences with Descriptive Processes. Within the NYCWP, Cecilia has participated, coached, and co-facilitated the Summer Invitational. She has co-facilitated the Elementary Leadership Program for 2 years. 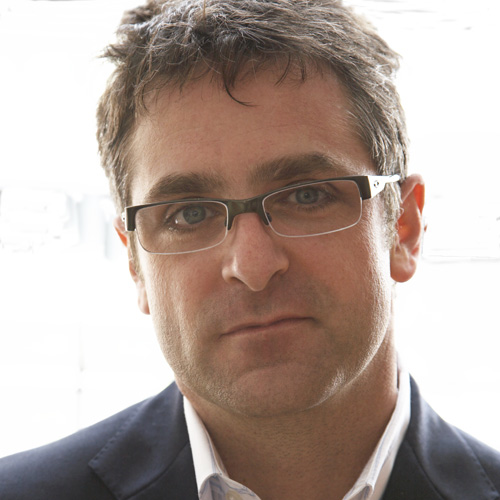 DR. ERICK GORDON is the founding director of Student Press Initiative at Teachers College, Columbia University and the former director of the New York City Writing Project. He has taught in a far-reaching range of classrooms, from California to Kathmandu. His many students have included incarcerated youth at Rikers Island, middle school students in Downtown Manhattan, and hundreds of English teachers at Teachers College. He is a lifelong educator committed to social justice through innovation in education. 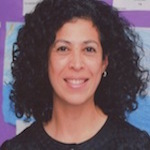 LONA JACK-VILMAR is a Teacher-Consultant with The New York City Writing Project and has worked as an urban educator and literacy worker for more than two decades. Prior to working as a high school teacher, she taught ESL to adults, directed an adult learning center and coordinated and designed ESL professional development activities for adult educators working in Community-Based Organizations (CBOs). Lona also served as a Peace Corps Volunteer and Volunteer Leader for Cameroon’s Community Development Program. Lona graduated from Colgate University with a B.A. in English Literature and Teachers’ College with an M.A. in Applied Linguistics. 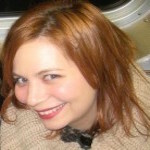 An on-site teacher-consultant with the NYC Writing Project since 2006, ALISON KOFFLER-WISE began her career with the NYC Department of Education as a creative writing teacher for the Waterways Project and taught for many years at Public School Repertory Company, an alternative high school in Manhattan. A working poet as well as a teacher, she lives to share her love of words and a belief in their transformative power. In addition to her work as a Teacher Consultant, Alison also coordinates the celebratory student reading of poetry and prose that the NYCWP sponsors each year at a historic venue. KRISY LAWLOR is proud to teach newcomer immigrants in a sheltered instruction setting. For five years, she has worked as a Global Studies teacher, integrating ESL and infusing literacy strategies into content study. The New York City Writing Project has impacted her pedagogy since the beginning, and she is eternally grateful to Ed Osterman for convincing her to participate in the Summer Invitational Leadership Institute (formerly ISI), and later to present at the 2013 Teacher-to-Teacher conference. She has continued to present at T2T and with the Writing Project in subsequent years, and in a variety of capacities. Since the beginning, the New York City Writing Project has felt like home to Krisy–a safe space to explore ideas with passionate and skilled teachers from the broad educational spectrum that is New York City. Krisy was named a Second Year Fellow (2YF) in 2016. RAQUEL LINARES has been an elementary school teacher for the past six years. She has experience working within the fields of Childhood Education, Special Education and Bilingual Education. She is currently a 4th grade teacher at Concourse Village Elementary School in the South Bronx, where she serves as one of the facilitators of her school’s NYCWP Writing Club for teachers and students. Raquel was introduced to the New York City Writing Project by her colleague, Mayra Negrón, who she works alongside in the Writing Club. MARINA LOMBARDO taught upper elementary students at P.S. 94 in the Bronx for the eight years before moving her practice outside of the city. Through her participation in the New York City Writing Project Elementary Leadership Program (2010-2013), Marina discovered her passion for inquiry-based learning and was eager to make it an integral part of her practice, with both with students and herself. 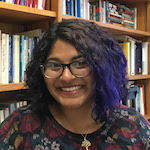 Integrating technology regularly became a major part of her focus and spending a summer working with the Youth Voices study group (2014) allowed her to continue to explore unique and current ways to connect students using multiple entry points. Marina received the Second Year Fellowship in 2014 and has since facilitated several NYCWP workshops on NYC DOE Chancellor’s PD days. She also facilitates the Summer Open Institute for teachers of grades K-5. MELICCA MCCORMICK got her first job as a middle teacher and never looked back. She has worked as a 7th and 8th grade teacher at the New York City Lab School for 18 years, helping to create the Humanities program which combines American History, Literature and Creative Writing. Melicca has also been a part of the ICT program at her school since its beginning 8 years ago. She is deeply committed to creating curriculum and incorporating project-based learning that brings together students of all skill levels in her classroom. Melicca led a Peer Advisory program in which 11th and 12th graders mentored 7th graders, and hopes to develop work around the intersection between writing and advisory programs for middle school teachers. She is the mentor for the Black Alliance Club at Lab, leads an after-school writing group and is the Humanities Department leader. 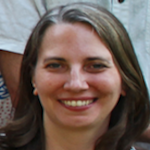 Melicca was an ILI (formerly ISI) fellow in 2012 and returned as a Second Year Fellow in 2014. She has co-facilitated the Summer Open Institutes since 2015, and began leading school-based workshops as behalf of the NYCWP during the 2015-2016 school year. MALLORY McMAHON taught as an elementary school teacher at Brooklyn’s PS 10 until 2013, when she stepped out of the classroom and joined the staff of the NYCWP as a Teacher Consultant. Mallory was a Fellow with the NYCWP in 2012 and participated with the Elementary Leadership Program in 2012 and 2013. 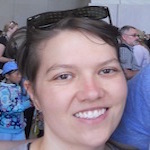 In addition to her work with the Project, Mallory is also a working writer with several publication credits and a few awards. She holds an MSEd in Special Education from Long Island University and an MFA in Fiction Writing from The New School. In 2015, she began coordination on the NYCWP’s elementary school Writing Clubs, a new Project initiative geared at fostering passion about writing in both children and their teachers. In 2016, she designed and facilitated the Summer Writers’ Residency for the Teacher-as-Writer, which she styled after writers’ conferences like Bread Loaf and Yaddo. 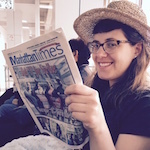 She also curates and serves as editor of the NYCWP’s monthly literary magazine, NYCWP Voices. 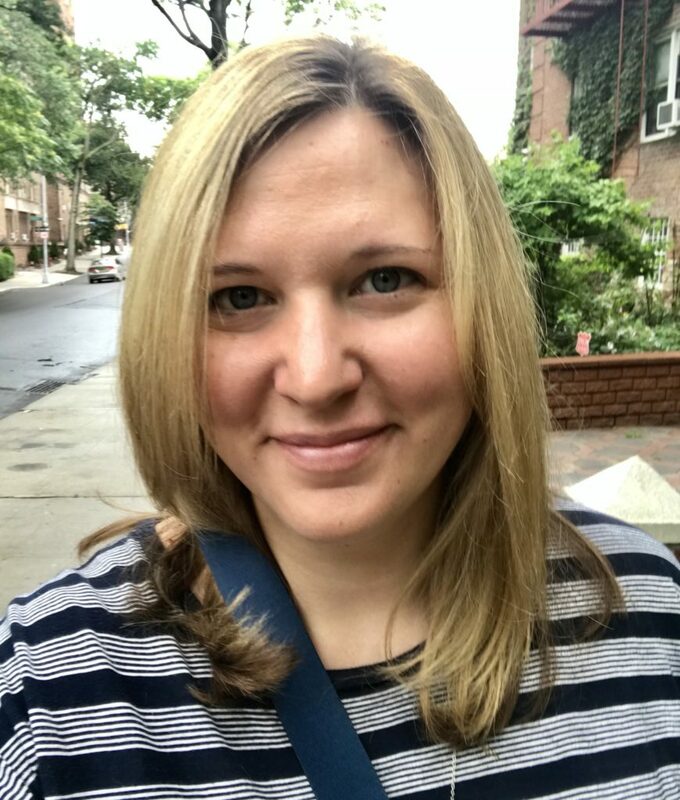 Mallory is grateful for the opportunity the NYCWP affords her to bridge her two loves–teaching and writing–through her work on behalf of the Project. Follow her on Twitter, where she tweets about teaching, writing and other things, @MalloryTMcMahon. 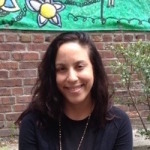 MAYRA AURORA NEGRÓN is an ESL Specialist and Coordinator at Concourse Village Elementary School in the South Bronx. 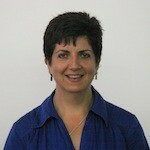 She has over ten years of experience working within the fields of Early Childhood Education and ESOL. Mayra joined the NYC Writing Project as an ILI (formerly ISI) Fellow during the summer of 2013 and eagerly accepted her position as a Second Year Fellow in the summer of 2015. During the 2015-2016 school year, Mayra worked as an NYCWP Writing Club Mentor at her school. In 2016, she began to co-facilitate the NYCWP Open Institutes for Elementary Educators and for NLL Teachers. 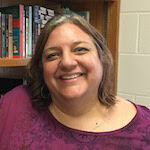 JENNIFER OCHOA has been a middle and high school English teacher for 23 years. 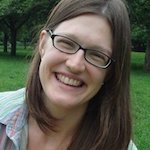 In addition to her work with her own students at MS 324 in Washington Heights, Jen is a long-standing member of the Writing Project. 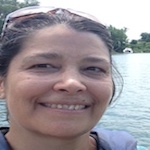 She participated with the Red Cedar Writing Project at Michigan State University in 1994 and began working with the NYCWP upon her arrival in New York. She has served as an NYCWP coach from 2004-2010, at which time she stepped up to co-facilitate our Invitational Leadership Institute, which was called the Invitational Summer Institute until 2016. Jennifer served as the Second Rep at Large on the Executive Board of the National Council of Teachers of English (NCTE) from 2008-2010. She is also a yearly presenter at NCTE’s conferences. Her work has been frequently published in the English Journal as well as in Chalkbeat. She also has a shared lesson on the Teaching Channel which introduces teachers and students to the idea of graffiti-ing a text and was one of the teachers consulted during the development of Kyleen Beers’s Notice and Note. In addition to her work with the Project and her own students, Jen is also an adjunct faculty member at Lehman College, where she teaches English Education classes for teachers of secondary-school pupils. 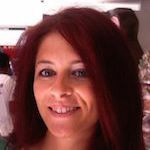 DARNESE OLIVIERI has taught for twelve years at EBC High School for Public Service-Bushwick. It was during her early years as a 9th and 10th grade English teacher that she was introduced to the NYCWP through a teacher consultant. 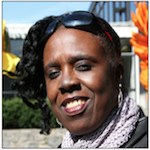 Darnese insists that her experience learning from and with the NYCWP TC was transformative. She finally felt the support and community NYCWP helped create consistently made her, “feel safe to explore and grow as a pedagogue.” The confidence NYCWP gave her allowed Darnese to “play” with curriculum in her classroom and create “creative spaces” in her school community for students to discover their performance arts talents. Two years ago, she participated in a workshop series at Medgar Evers College with another NYCWP TC who shortly after spent a year mentoring Darnese as a teacher leader at her school site. She has since re-gained excitement about NYCWP and participated in a two year long Assignments Matter initiative as a teacher liaison (2016-2018) and looks forward to more opportunities to learn and grow with the NYCWP community. ED OSTERMAN worked for over 30 years in New York City public schools as a high school English teacher and as an on-site teacher-consultant for teachers across the curriculum in both large and small high schools. He taught English at James Monroe HS in the Bronx and Newtown HS in Queens. He has been Associate Director and a founding member of the New York City Writing Project (NYCWP) at Lehman College (CUNY). 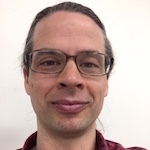 Ed served as editor of the NYCWP newsletter for ten years and was also the facilitator of an online forum for the NYCWP membership for a decade. Recently retired, Ed now works part-time as a literacy coach at Bronx International HS and ELLIS Preparatory Academy. The National Writing Project recently published his monograph about the NYCWP’s model of on-site professional development. Ed is also a life-long movie-buff, Sondheim fanatic, and Yankee fan. SONDRA PERL is a professor of English at Lehman College and the Graduate Center of CUNY. She co-founded the New York City Writing Project with Richard Sterling in 1978. 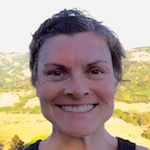 RACHEL PIVEN has been teaching since 2003 when she was lured away from the exciting world of legal communications to teach in a Montessori style high school. Since then, she has earned her MSEd, taught five years of high school and eight of middle school English, coached a winning debate team, and descries her first summer with the NYCWP as “transformative” and a “turning point in my teaching career.” Rachel currently reaches at KAPPA International High School in the Bronx and is very excited to participate as a Second Year Fellow (2016) with the NYCWP. CATLIN PRESTON has taught in public schools for 15 years, working with kids ages 6-10, in elementary schools in Hoboken, NJ and east Harlem, NYC. He currently teaches second grade at Central Park East One. Catlin was a summer fellow in 2007 and since then has been avid in supporting and promoting NYCWP as a participant in the Elementary Leadership Program and a co-leader of an Elementary Inquiry Seminar. 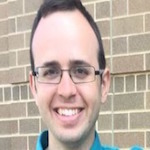 He is currently in an NYCWP-supported writing club with 11 students and 4 teachers thinking and writing together at his school, where he also serves as a mentor to other teacher leaders. GRACE RAFFAELE taught middle school English Language Arts and Humanities for 16 years in NYC public schools after an extensive career in photography and advertising print production. 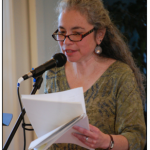 She became involved with the New York City Writing Project in 1994 while teaching in Washington Heights, co-facilitated several Invitational Summer Institutes and worked on both the paper and digital versions of the NYCWP’s newsletter. 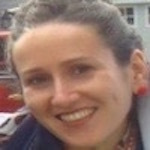 Grace became an on-site Teacher-Consultant in 2007 to work at a school for recent immigrants in Queens, NY and has furthered the use of writing and technology at several schools in NYC. She continues to pursue her interest in photography and new technologies with students and teachers as well as in her own creative pursuits. SAM SALTZ is a teacher, writer, and native New Yorker. He can be found teaching at ELLIS (English Language Learners International Support) Preparatory Academy, a transfer high school serving 16 to 21-year old recently immigrated English language learners. In his six years as a teacher, Sam has taught Global Studies, Economics and now 11th and 12th grade English in collaboration with Writing Project Consultants Ed Osterman and Renee Ehle. Sam was proud to be an NYCWP Fellow in 2013, and hopes to help students to see the potentially life-changing power of their writing. Prior to teaching, Sam was the director of marketing for a successful start-up, a field organizer for a successful presidential campaign, and an Emmy-nominated comedy writer. He still thinks he’s pretty funny. MOLLY SHERMAN was thrilled to discover the NYCWP, where she participated in the Summer Institute in 2013 and was named a Second-Year Fellow in 2014. She is currently teaching 12th grade at Kingsbridge International High School. Prior to this, she spent nine years teaching 8th grade ELA to wonderful young minds at IS 162 in the South Bronx. Additionally, she taught Writing Elective Prose and led the Writing Workshop at SUNY Empire State, taught 11th and 12th grade in Kenya, English language in Barcelona, Spain and was a coordinator, teacher and curriculum designer combining literacy with hands-on, fun learning at the innovative PS 87 Afterschool program for several years. 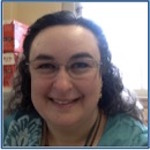 For her work at IS 162 she was named a Teach4Learning Innovative Educator and had several articles about her work with students combining technology and literacy published in Creative Educator. She graduated with an MA in the Teaching of English from Teachers College, Columbia. In 2015, Molly served as a co-facilitator with the new crop of Second Year Fellows. 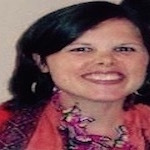 ELLIE SHRIER has been a middle and high school special education teacher in New York City since 2010. She currently teaches 7th grade Humanities in an inclusion setting at Tompkins Square Middle School in the East Village. Prior to full-time teaching, she facilitated conflict resolution and counseling programs with young people in the US and UK. She was thrilled to be a part of the 2015 Invitational Summer Institute (now called the Invitational Leadership Institute) and was very excited to return as a Second Year Fellow in 2016. 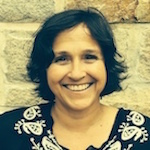 MARTA REYES-STEWART has been a teacher of fourth grade for 20 years. Born and raised in Nicaragua, she learned the value of education as a way of personal advancement. As a young teacher, she understood that the key to being an excellent teacher is to be a lifelong learner. She currently teaches at the Anna Silver School (PS 20) on the Lower East Side. Marta has taught all modalities of fourth grade: Bilingual Spanish Education, ESL, General Education/Common Branches, ICT and Dual Language programs. She first joined the NYCWP Summer Invitational (now called the Leadership Institute) in 2012, followed by her participation with the NYCWP’s Elementary Leadership Project from 2012-2013. Her experiences with NYCWP empowered her to participate in PS 20’s School Leadership Team and take on a literacy leadership role on the fourth grade team. Subsequently, she participated in and graduated from the Department of Education’s Elementary Leadership Program throughout the 2012-2013 school year. When she was named a Second Year Fellow in 2014, Marta was grateful to apply her passionate belief that teachers are agents of change and that, when empowered, they can influence the ever-changing educational landscape and push the educational agenda forward in New York City. In 2015 and 2016 she co-facilitated the Summer Open Institute for teachers of grades K-8, and during the 2015-2016 school year she worked at her school as an NYCWP Writing Club Mentor. ALIE STUMPF started teaching high school English as a bright-eyed, baby-faced NYC Teaching Fellow in 2006. Thankfully, she has learned so much about the power of literacy since then from her students, colleagues, and teacher-family. She is constantly on the hunt for more methods that will empower her students to become agents of their own learning. She currently teaches at Brooklyn School for Collaborative Studies where she serves as a mentor, literacy specialist, department head and teacher. She was thrilled and honored to be named a Second Year Fellow in 2015 and to work with the amazing educators the NYCWP attracts. In 2016, she became one of the leaders of the NYCWP Book Clubs. PRISCILLA THOMAS has taught high school English in the Bronx for 8 years, and if she gets her way she will do it forever. She was introduced to the New York City Writing Project through her colleague and mentor, Jennifer Ochoa, and she participated as a Summer Fellow in the 2010 Invitational Leadership Institute. Since then, she refuses to go away and has participated each summer as a coach, assistant, and technological support. During the summer of 2014, Priscilla was made a Co-Facilitator of the ILI. 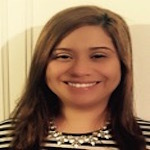 Priscilla currently teaches 11th grade English at Kingsbridge International High School, and blogs at http://thosewhocan.org. ANNIE THOMS has taught high school English since graduating from college, with brief pauses for further education and child-rearing. At Stuyvesant High School from 2000 to 2013, she taught 9th grade composition, creative writing, and women’s literature, and advised the student theater community. After September 11th, 2001, Annie worked with a group of Stuyvesant students to create the interview-based monologue play with their eyes: September 11th – the view from a high school at ground zero (HarperCollins, 2002). Annie fell in love with the NYCWP during the Summer Invitational (now called the Invitational Leadership Institute) of 2005, and has been a frequent presenter at Teacher-to-Teacher conferences in the years since. She was thrilled to work as an on-site teacher consultant with the NYCWP from 2013-2015, and then returned to the classroom in 2016. Annie blogs about children’s literature at annieandaunt.blogspot.com. 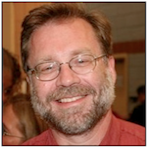 DOUG WHITE has taught ninth grade English and Film at Bronx Early College Academy for the last four years. He currently works as a Peer Collaborative Teacher, working with his administration to facilitate professional development sessions for middle and high school teachers. 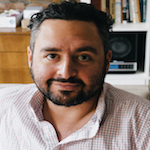 He participated in the Writing Project’s 2015 Invitational Summer Institute (now called the ILI) and has led workshops at the Teacher to Teacher conference in 2015 and 2016. He was named a Second Year Fellow in 2016. EMMY WILLIAMSON is an office coordinator for the NYCWP. In addition, she is a Ph.D. candidate in Ethnomusicology at the CUNY Graduate Center and teaches music at Lehman College. Her dissertation examines the musical communities coming from New York City’s Mexican immigrant neighborhoods. As part of her research and for fun, she is learning the jarana and plays trumpet. A proud participant in the NYCWP’s first summer institute in 1978, Marcie Wolfe directs the Institute for Literacy Studies–the NYCWP’s home at Lehman College, and co-coordinates Lehman’s Writing Across the Curriculum program, working with faculty across all disciplines on ways to integrate and improve student writing in their courses. She has taught high school English, freshman composition, adult-degree courses in autobiography, masters courses in composition and rhetoric, and tutored adults in writing at the New York Public Library Centers for Reading and Writing. Over a long career involving dozens of projects related to literacy education, two of Marcie’s favorite projects have been the work she co-led for the sites of the Centers for Employment Training in California and Looking Both Ways, a high school/college collaborative program sponsored by CUNY. Both of these initiatives involved bringing the work of the NYC Writing Project into new settings and reimagining it through the perspectives of others. 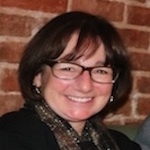 Marcie has published and presented papers on adult literacy assessment, writing across the curriculum, and the NYC Writing Project’s work; served as a consultant to various foundations and nonprofit organizations; contributed to program leadership teams for the National Writing Project; and has led hundreds of workshops on the teaching of writing.